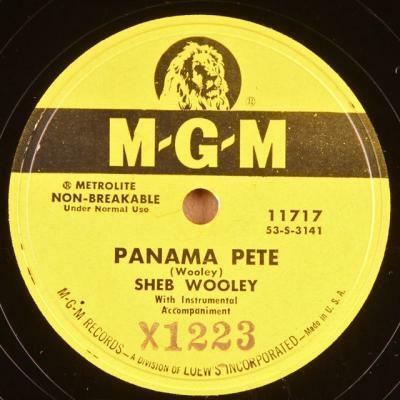 Nice Country sides by Sheb Wooley. Steel guitar legend featured on "Blue Guitar." Pressed on "Metrolite" which I'm beginning to believe, means, "attracts dust." Condition; E/E-/E,E+; Plays great, loud and strong, nice quiet surface. Nice clean copy but seems impossible to remove all dust. Ink stamping on each label.